Oh! Yeah I guess :P Till the date Blogger does not support file attachments like "Zip File". Obviously you are looking for possible easy way to upload a Zip File and make it downloadable in your blogger post. Here is a quick tutorial on how to upload and make downloadable Zip File in Blogger. 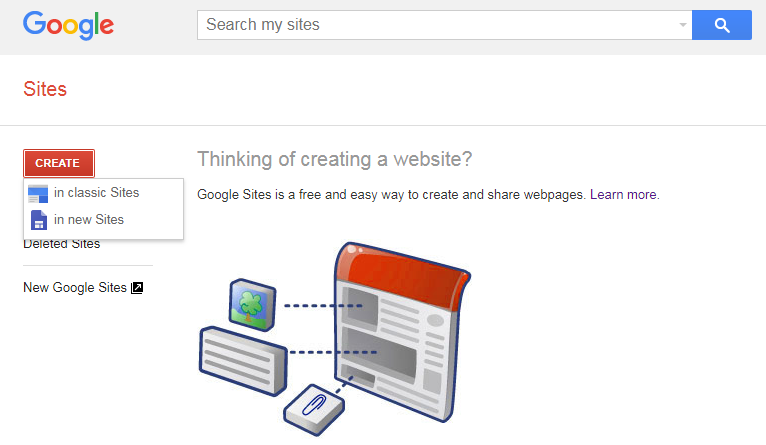 Step-1: Go to the GOOGLE SITES. 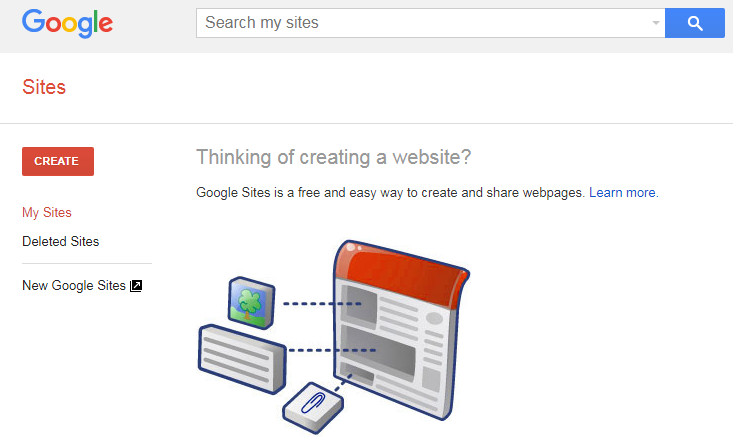 Step-3: Click on CREATE button and create website in classic sites. Step-4: Now choose a template - you may choose any template (I chose here 'blank template'). 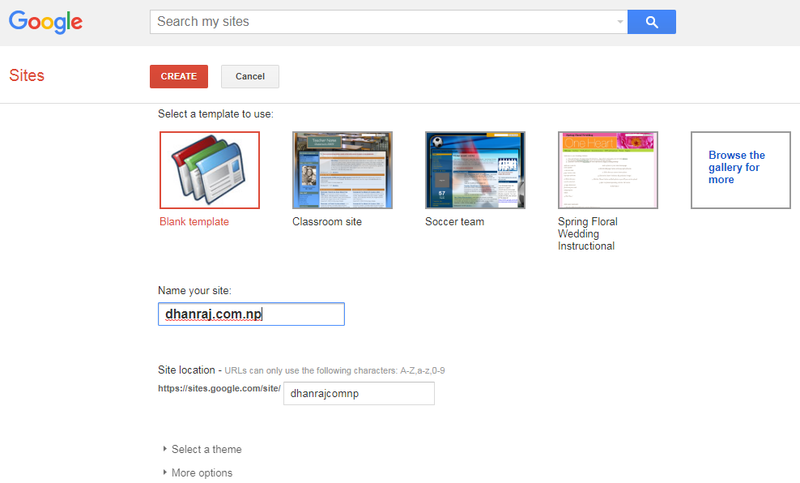 Fill up the name of your site (dhanraj.com.np), site location (dhanrajcomnp) and click on CREATE button. Step-6: Now click on setting button - top right (near Share button). 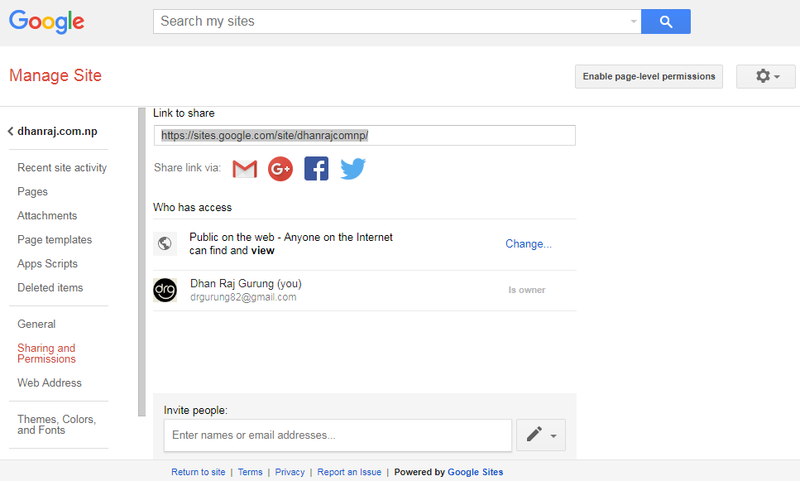 Step-7: Click on Sharing and Permissions, you will get below screenshot. Step-8: Select 'Attachments' and Upload the Zip File that you needed. 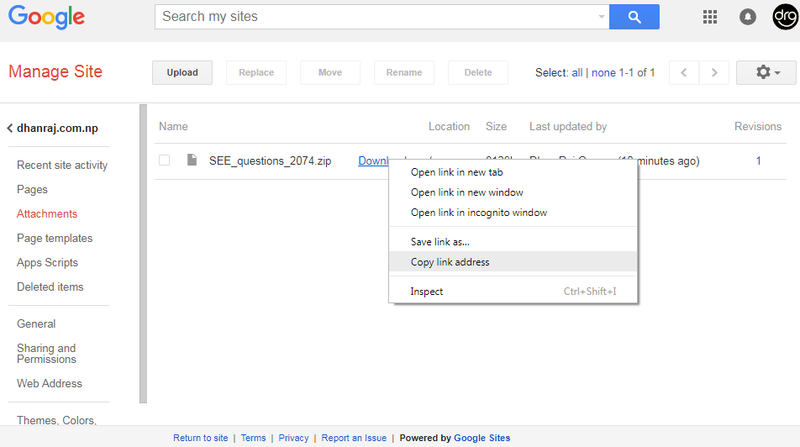 Step-9: Finally, right click on "Download" and select "Copy link address". And paste it in your blogger post. When your readers click on the link, Zip File will be directly downloaded. 0 Response to "How To Upload And Make Downloadable Zip File In Blogger"